The Adolescents return to the Casbah on Saturday. It's Saturday night and you're probably gonna have a lot of couch time the rest of the weekend, so why not go big? 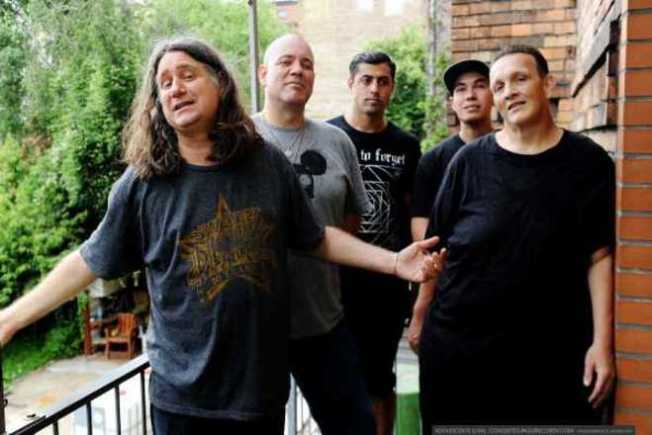 After all, even for a bunch of old guys, few punk bands bring it harder than the Adolescents.Returning to the Casbah, they are often imitated (especially their T-shirt designs), but never duplicated. With Widows and the Touchies opening -- as my friend O would say, "Bring the shralp." Meanwhile, Ben Folds is really getting his work done in San Diego this week, with another show, this time at symphony hall. The English Beat play their second sold-out night at the Belly Up, DJ Quik and Warren G take you back to the old school at the Observatory, and Jason Cruz and Howl (featuring Jason Cruz of the famed punk band Strung Out), mix folk, Americana, and punk for something that should appeal to outlaw country lovers at Soda Bar.